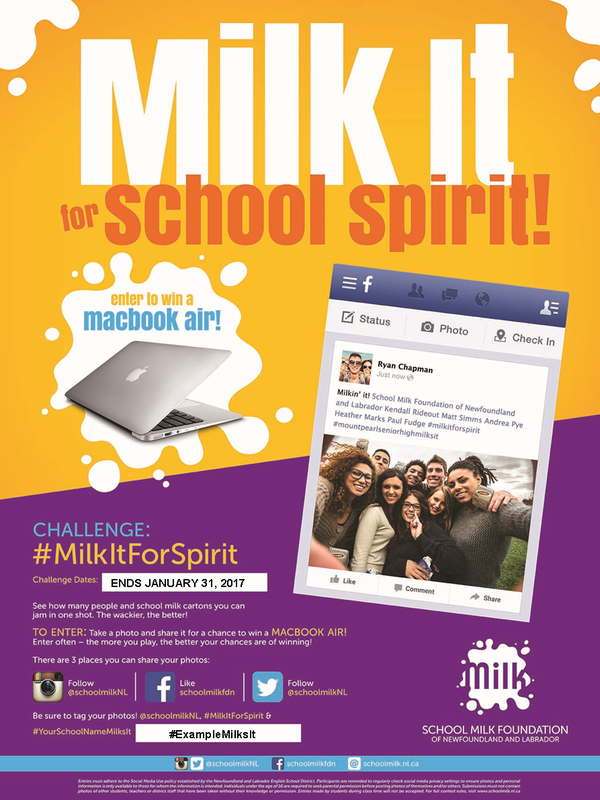 Win a Macbook Air with School Milk! The School Milk Foundation of Newfoundland and Labrador is once again offering its Milk It For Spirit promotion! Please note that students under 16 years of age need to fill out a permission form. Click here to download it.